My kids are teenagers! Yup…as much as I’d like to stick my head in the sand about them growing up…it’s happening faster than I’d like. They have a shared hall bathroom upstairs. That’s always fun with teenagers… especially two boys and a girl! 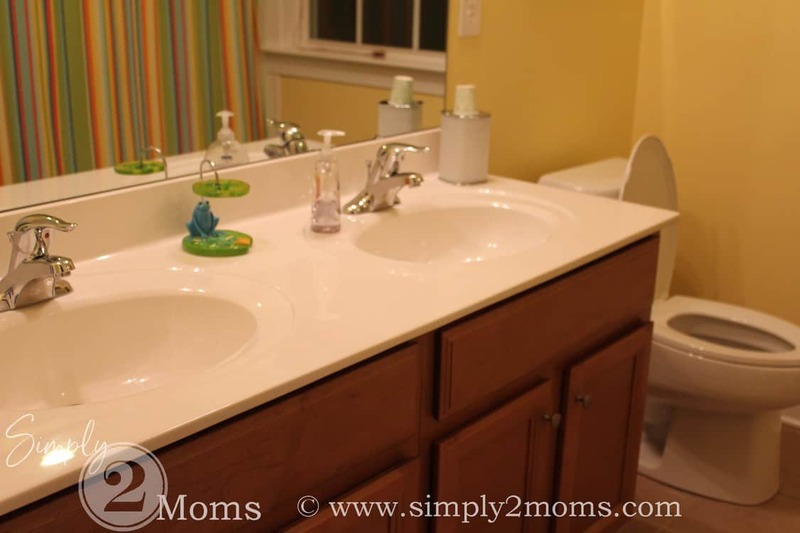 Their bathroom is a decent size with double sinks which is great for them but the decor…well let’s just say they may be outgrowing it. Awww… but look at that cute little frog on a lilypad toothbrush holder! Ok…ok…I know they aren’t little kids anymore. 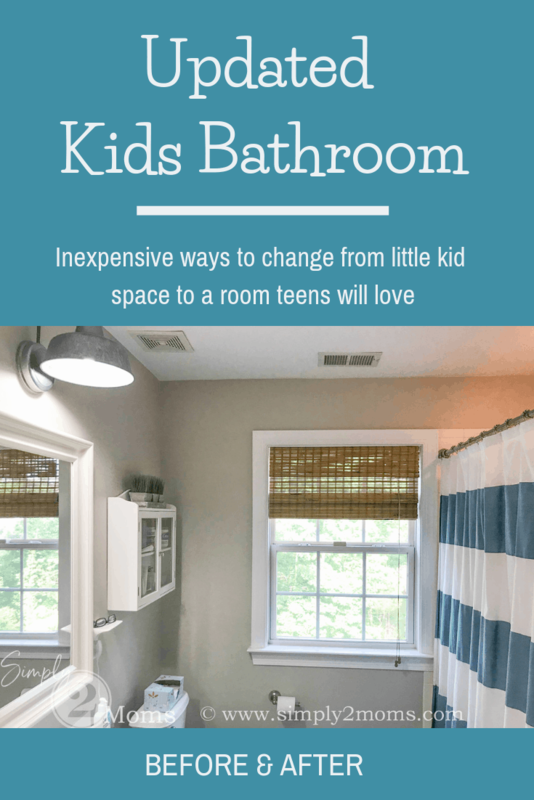 I wanted to create a more grown-up space for them on a limited budget. 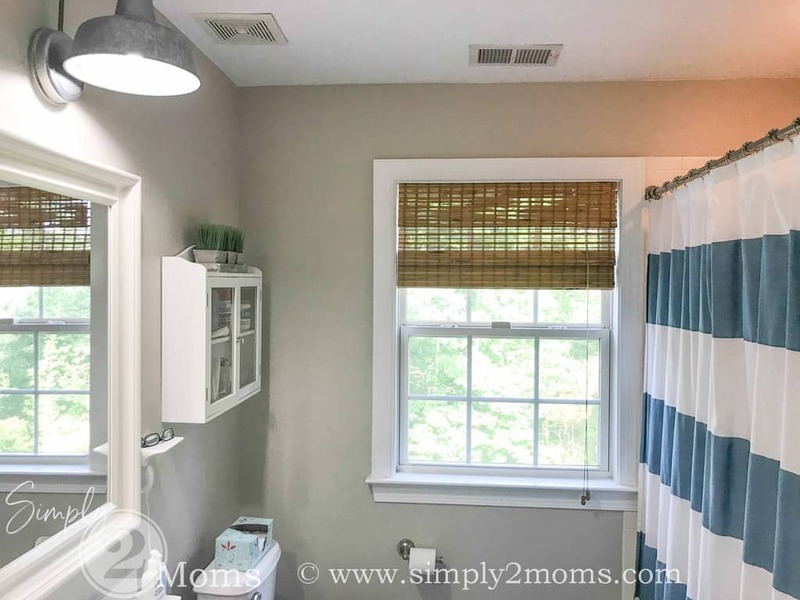 All the fixtures were in good shape…I just needed paint and a new shower curtain. Easy! Cheap! Done! But… you know how one thing leads to another…I’ll explain more on that later. First I needed to pick a paint color that was neutral for the room. 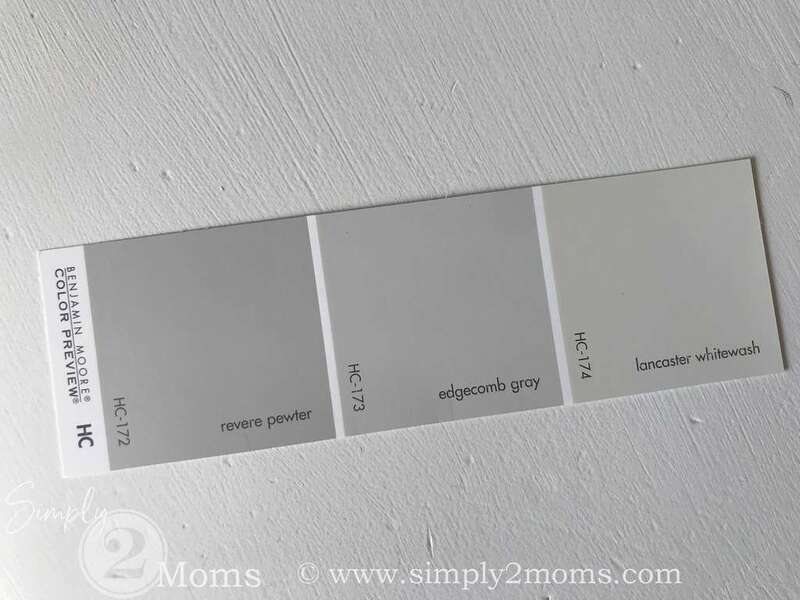 I had been debating between Revere Pewter by Benjamin Moore and Edgecomb Grey which is just one shade lighter on the swatch for our downstairs open areas in the kitchen, family room, living room, and hallways. I had seen Revere Pewter everywhere on Pinterest. My sister painted her house Revere. I suggested that color to Anne who also painted her house Revere. I suggested it to everyone and anyone who I talked paint colors with. But still had trouble deciding for my own house. So…I thought let’s try Edgecomb in the kid’s bathroom since I’ve seen Revere Pewter on the walls in both my sister’s & Anne’s houses. That way I could really decide which of the two I liked best before repainting my entire house. And I’m so glad I tried the lighter shade with Edgecomb Grey. I LOVED the outcome! It was so light and bright. 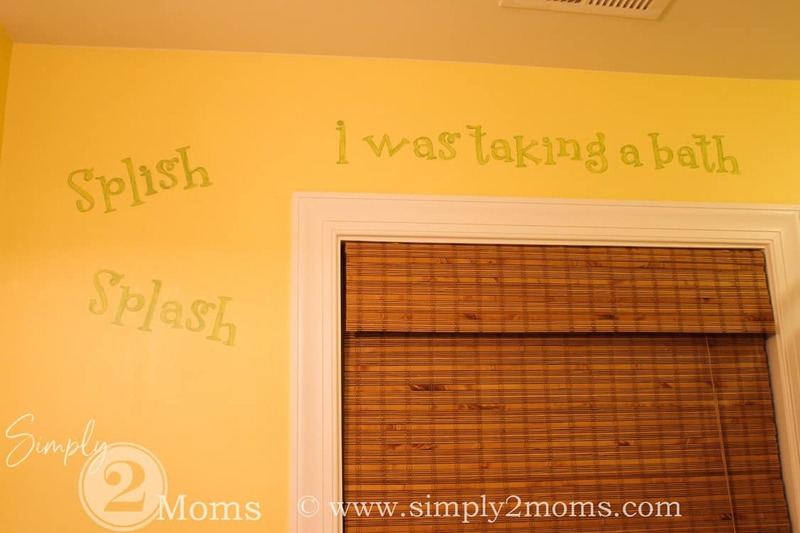 It’s amazing what a gallon of paint will do for a room. 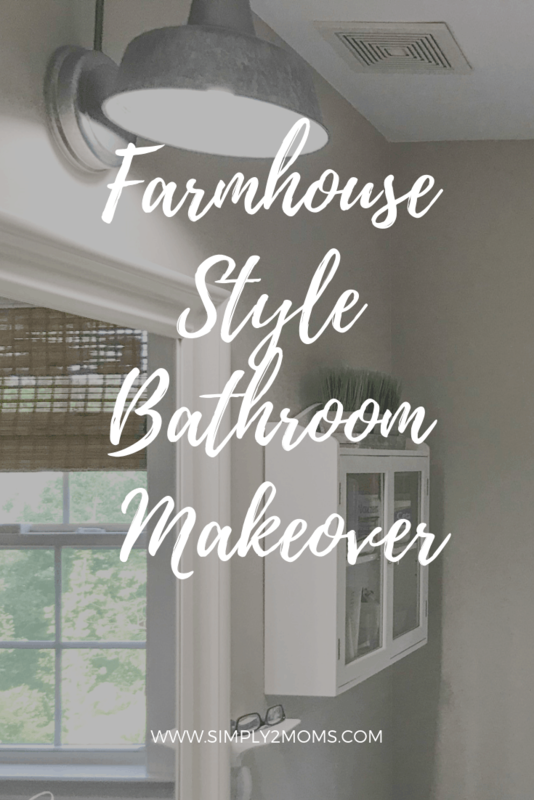 But then another idea came to mind….remember how I said one thing leads to another….well…I didn’t like the large builders mirror over the double vanity. 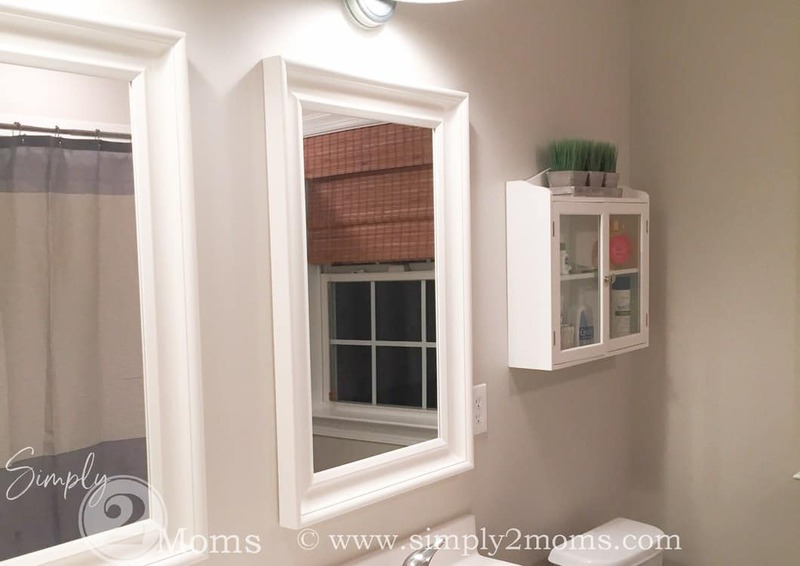 I had lots of diy ideas saved on Pinterest for framing out that big ugly mirror. But in the end, I decided I really liked the look of two separate mirrors. So we removed the large mirror and I found these that worked perfectly in the room and within my budget at Ikea. I also hung a cabinet that was a Home Goods find from years ago for extra storage. And yet another thing that snowballed after starting the project was replacing the light fixtures. 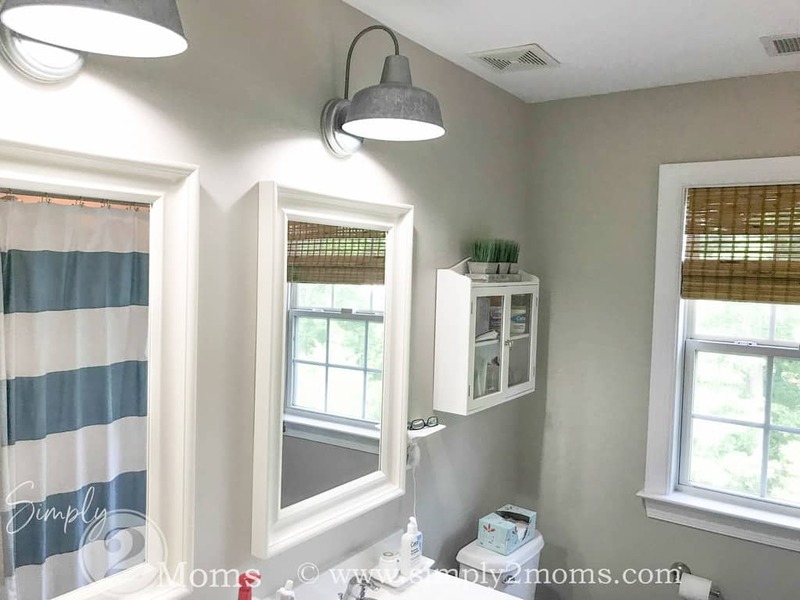 All the lighting was just basic builders grade fixtures and I’ve been ever so slowly updating it throughout our home. So I thought I’d better take the opportunity now and change those lights out. 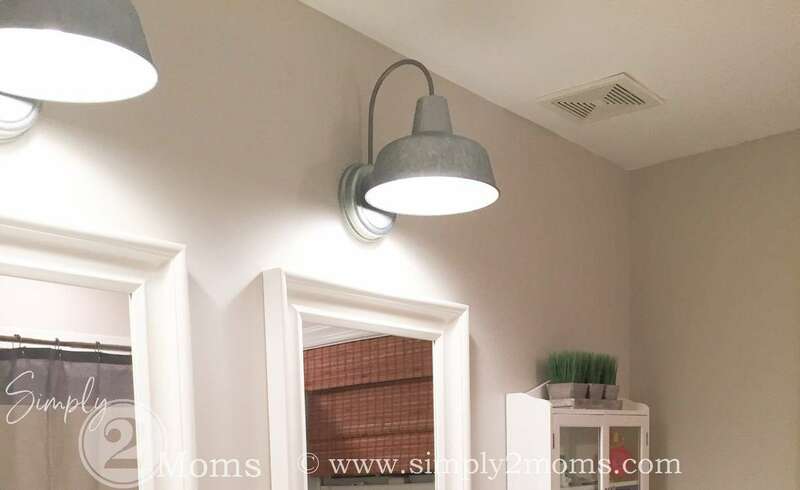 I love the rustic look of barn lights and had used them in a different project in my son’s room. 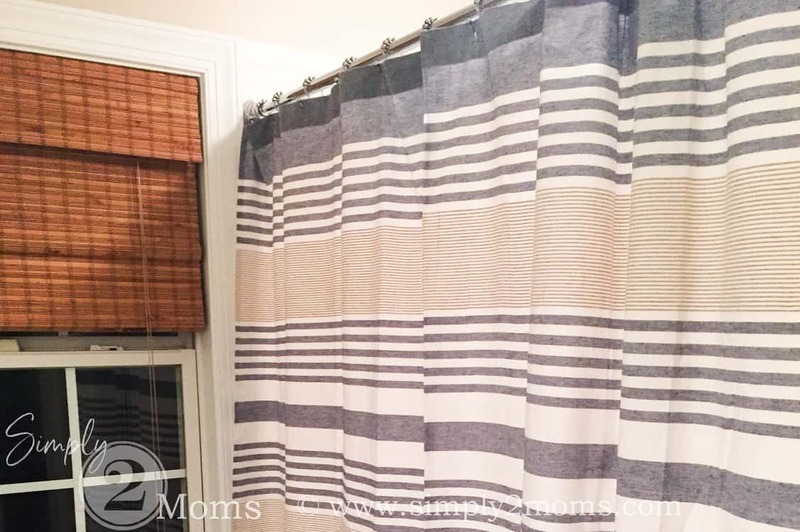 I purchased these at Lowe’s and they were the perfect update for their bathroom. And reasonably priced! 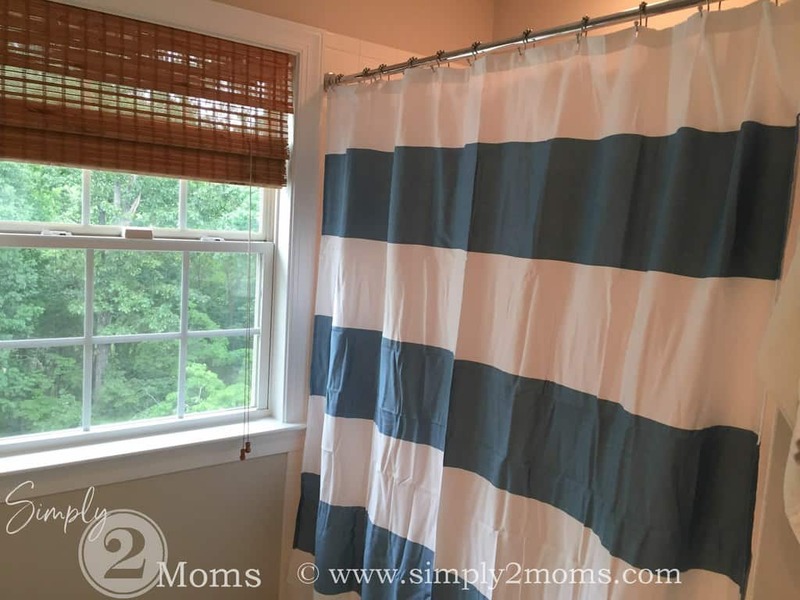 Don’t worry I ironed that shower curtain! I love how the room came together in the end. 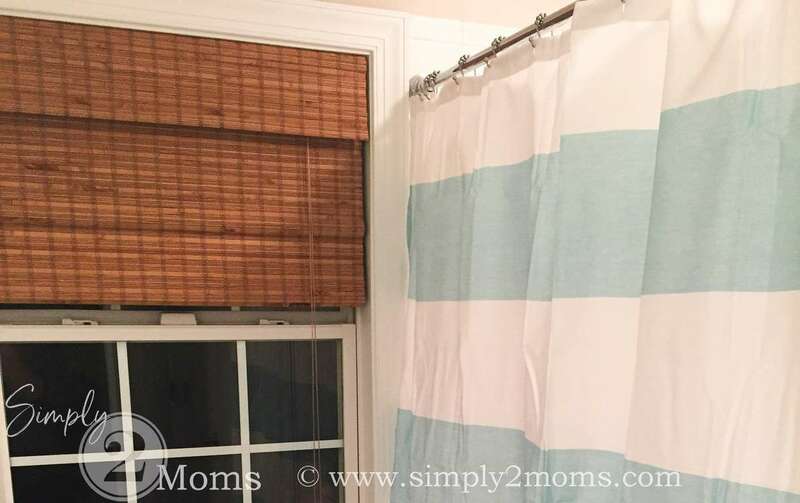 It was a fairly simple makeover without having to gut the bathroom. And now it’s a fresh new space for my teens! 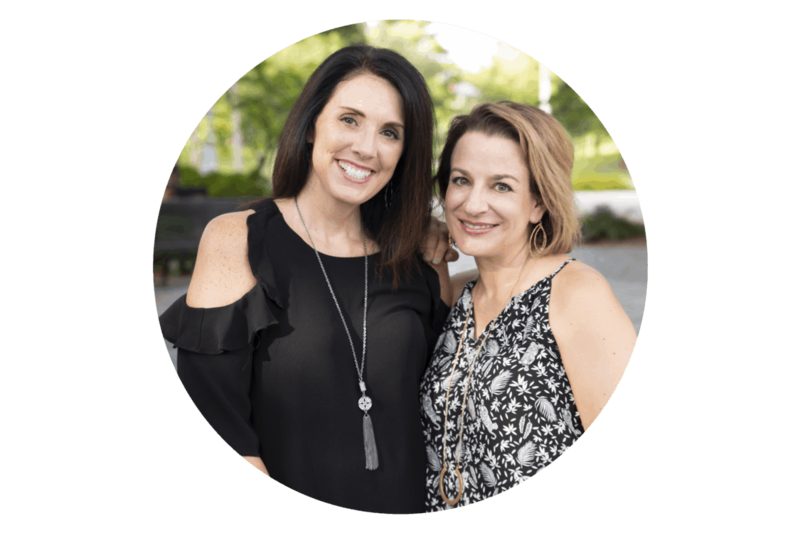 And because we all love a good before and after! I just love how much brighter this room is now. 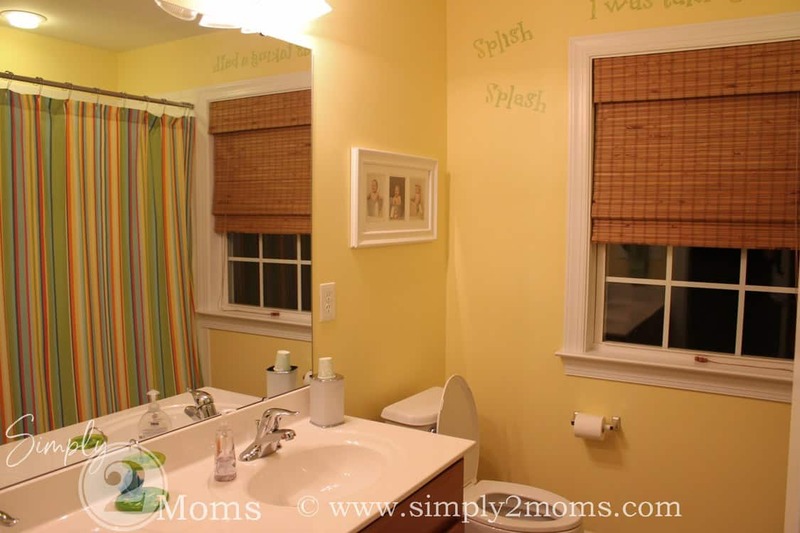 Bye bye, kiddie bath!